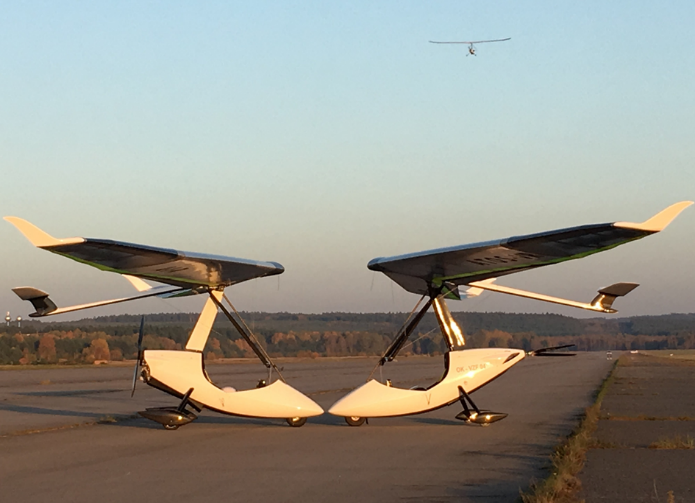 We will be happy to show you EGO trikes in the form of an individual flight program at Mimoň – Hradčany (LKHR) airport in northern Bohemia. 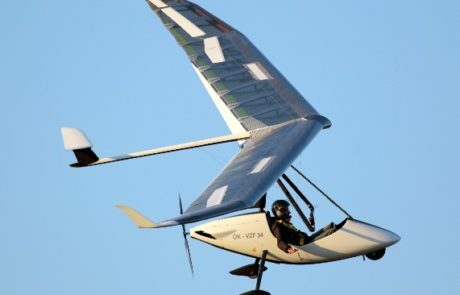 This program is dedicated to experienced pilots and also to absolute beginners who just want to try the experience of flying in open cockpit. 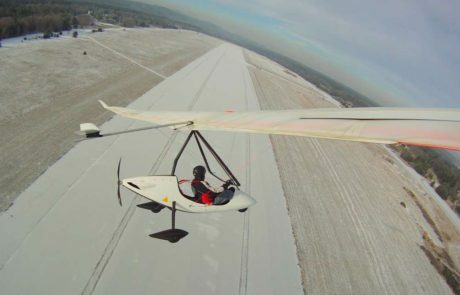 In compare of flying in cockpit of conventional airplane is flying with weightshifts synonym of freedom. Indeed, there is more than elsewhere that you will feel how your hands become your wings. 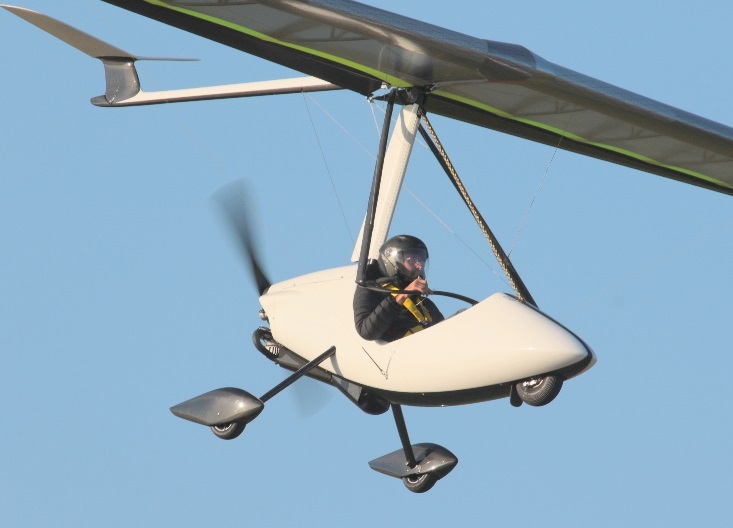 In no other aircraft you will experience this freedom feeling with that intensity. 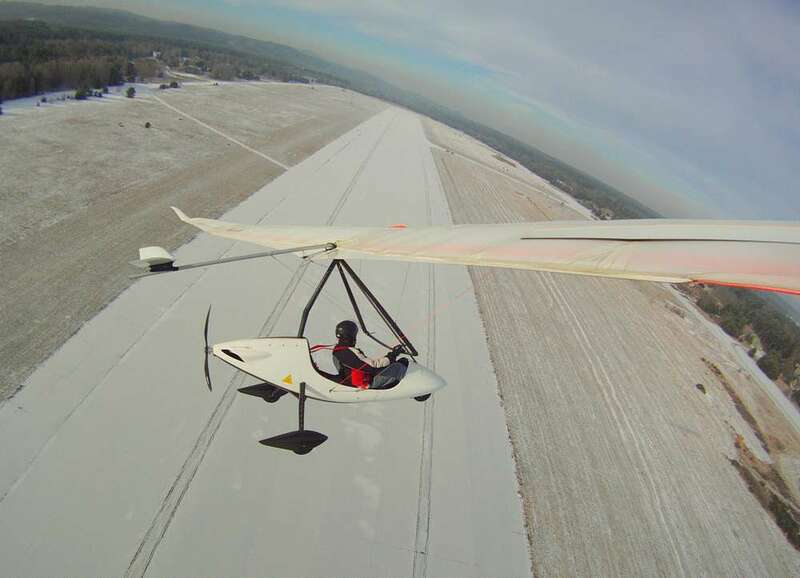 The typical hang glider is in its non-powered version limited by the availability of suitable natural terrain. 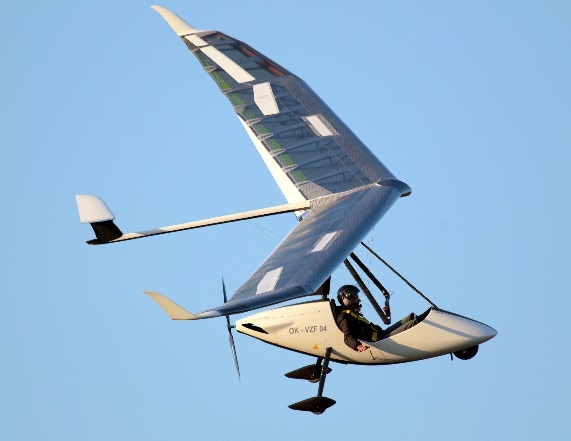 As a company that has been cooperating with producer of high performance ATOS wings since 1999, we are the only one who allows you to fly without modifications as non-powered hang glider or you can use tricycle gear with the engine to take off from very small area as powered plane. 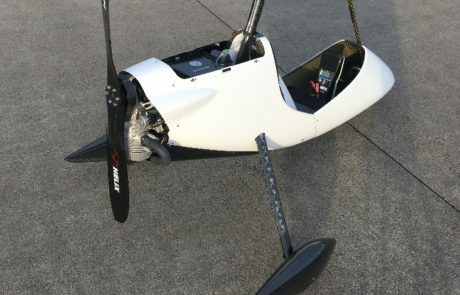 All thanks to the specific carbon design of the ATOS wing. We can significantly extend the range of use of one wing and range of your experience. 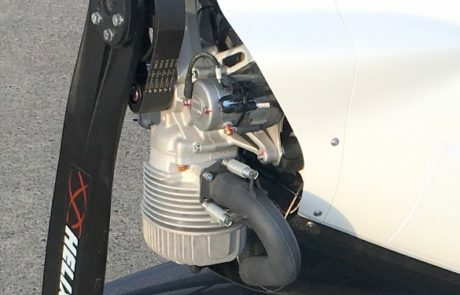 An extraordinary feature is the possibility of simple transport of the entire flying machine in folded condition in your ordinary passenger car without a trailer or in the garage of a typical camping car in place you normally transport small motorcycle. Very interesting and convincing is the comparison of the identical tricycle with a gasoline engine and a version with an electric drive unit. Most people have some own ideas about the differences and benefits of different designs, but so far there are not many places where these features can be practically touched in detail and in one place. 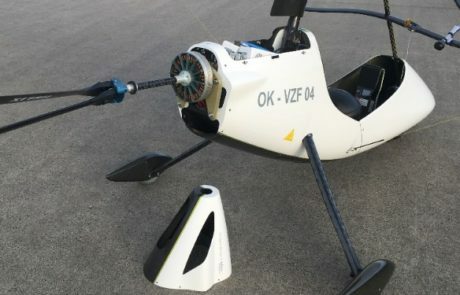 We hope that the possibility of test flying will help complete laymen to discover this unique aviation industry. We also hope that we will provide the pilots with the necessary information before purchasing a new aircraft, or simply mediate new experiences and practical comparisons. We also offer the possibility to rent both options our products. For those who would like to visit us in a small planein possible to manage hangar and accommodation. For pilots from distant destinations it is possible to use “low cost” airlines to PRAGUE and to provide full service according to your requirements. Hradcany are also very interesting from the point of view of the surrounding nature. For undecided we still have Ego trikes with classic combustion engines. 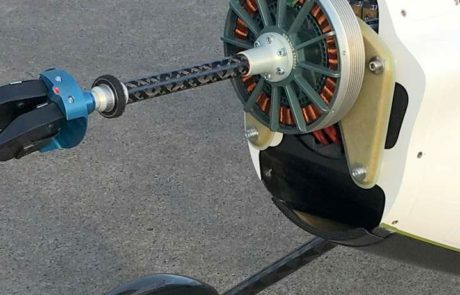 A simple, lightweight, low-priced two-stroke engine, originally designed as a paramotor, has undergone a number of changes in last seven years. 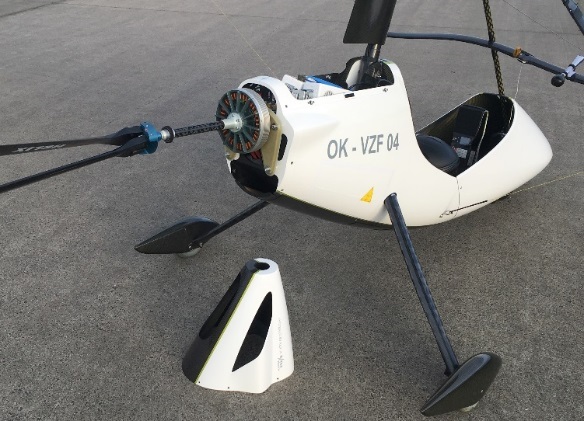 The result is a very good performance with a minimum fuel consumption of around 3 liters per hour of flight. The original maximum engine rpm hes been reduced to an acceptable level of around 6500 rpm. Actual overall noise has moved us to the position of quietest trikes in its category. 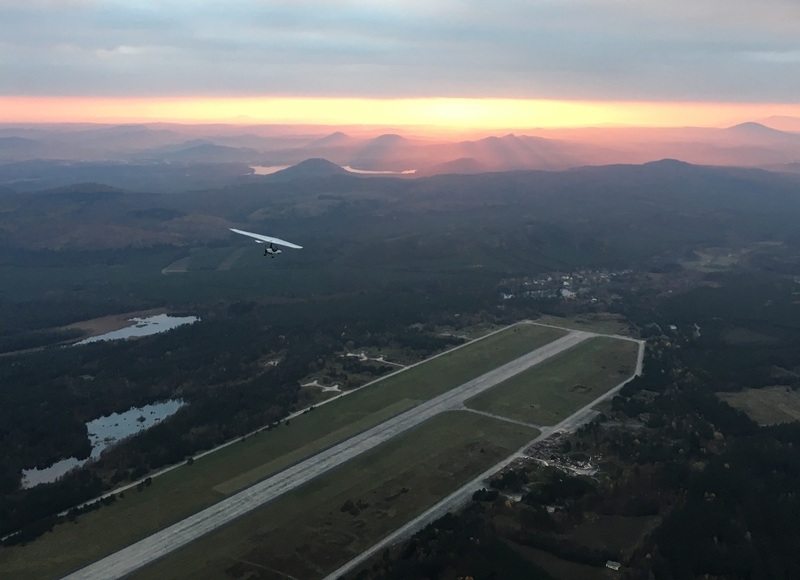 In Austria, we did noise measurements under the Austrian Aeroclub with a perfect result – official certificate with confirmed noise of 56.6 dBA. 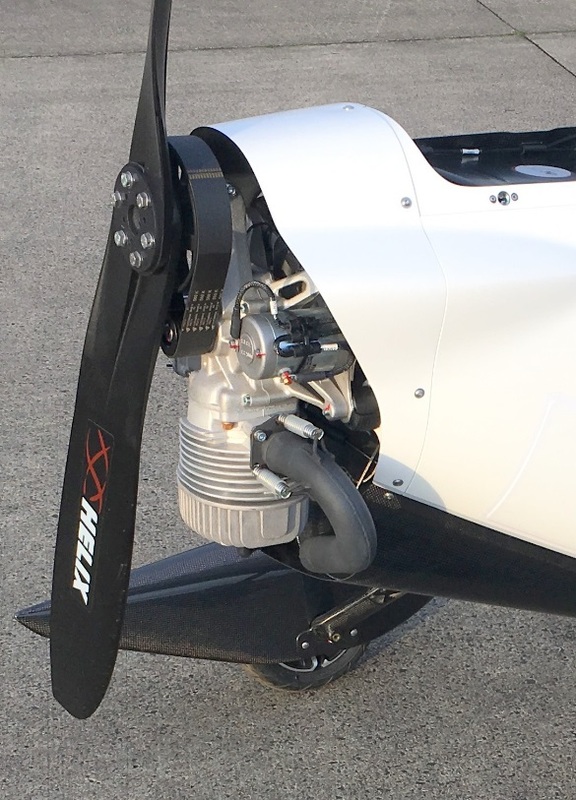 Lasting advantage of the EGO trikes with combustible propulsion is practically unlimited range. The low fuel consumption of standard MOGAS gives you over 5 hours endurance and over 300 km range on one fuel tank. 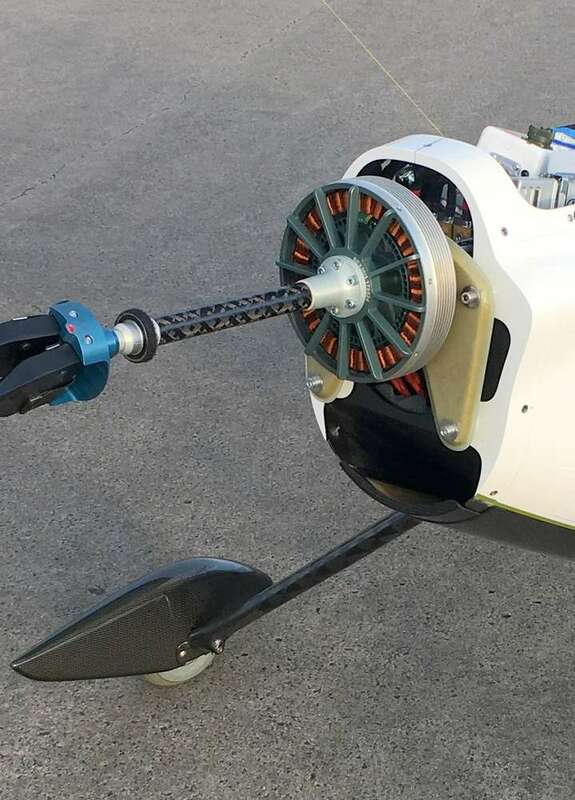 Due to very favorable and gentle operating conditions, the life of the engines is significantly higher in compare with the paramotors. The decision about the best possible option for your future choice is not easy. 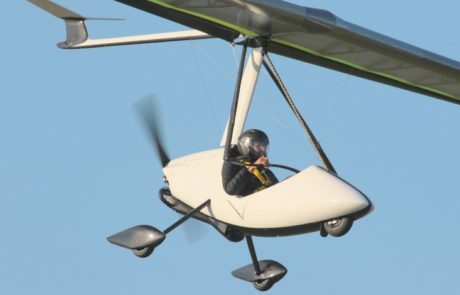 We hope that the test flying will help you make the best decisions. This is an attractive location, especially in terms of training opportunities and flight safety. The airport has a wide 2500 m long concrete RWY with minimal traffic. It is possible to practice circuit training with several stops in a row, which makes the training much more efficient and faster. 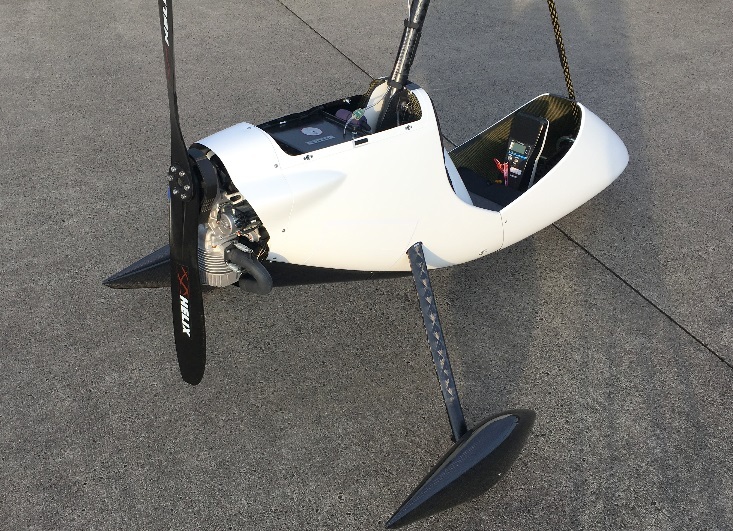 Flying on a concrete surface requires more precise pilot skills and brings much more practical experience to clients. 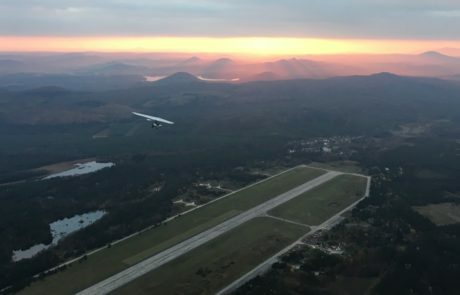 Because of the large and dark wooded areas, is the airport Hradcany suitable for thermal flying from the early morning hours. However, it is always possible to return back to a large safe airport. 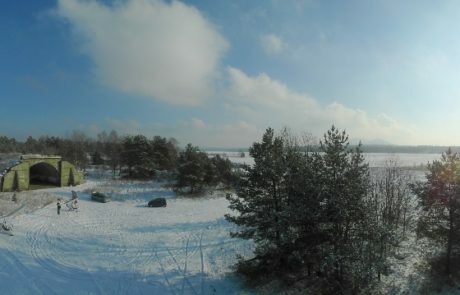 The airport is set on the edge of a beautiful large forest near Mácha’s Lake and Bezděz Castle. Within an one hour flight there are two protected natural areas with sandstone formations – “Czech Heaven” and “Czech Switzerland”. Very specific and captivating is the landscape silhouette with a large number of distinctive volcanic cones. From the reactions and later comments of pilots it is possible to confirm the popularity of this specific place.